Israel used Turkish base in Syria attack? 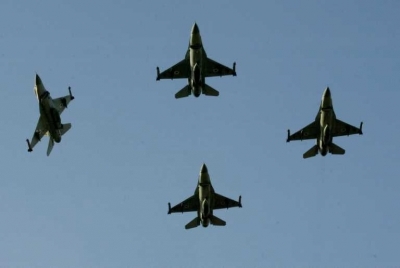 The Russia Today report said Israeli planes left a military base inside Turkey. Foreign Minister Ahmet Davutoğlu has denied claims that Israel used a Turkish military base to launch an attack against Syria, saying the claims were complete lies and had no basis in reality. Israel has used a Turkish military base to launch an attack against Syria, according to an earlier report on the Russia Today website. A high ranking Turkish official, who spoke on condition of anonymity, also told the Hürriyet Daily News that Israel warplanes had not come close to a “sensitive range” of Turkish air space. The airstrike on July 5 in Latakia reportedly targeted Russian Yakhont anti-ship missiles, a type of advanced weapon that Israeli officials previously said they would not allow to reach Syria. Prime Minister Benjamin Netanyahu refused to confirm or deny Israeli involvement in the airstrike but a New York Times report, citing U.S. officials, said Israel targeted advanced anti-ship cruise missiles. The Russia Today report said Israeli planes left a military base inside Turkey and approached Latakia from the sea to make sure that they stayed out of Syrian airspace so they could not become a legitimate target for the Syrian air force. Israel has repeatedly said it would take action to prevent what it calls “game changing” weapons, including chemical weapons and advanced guided missiles, from reaching Hezbollah or other hostile militant groups.